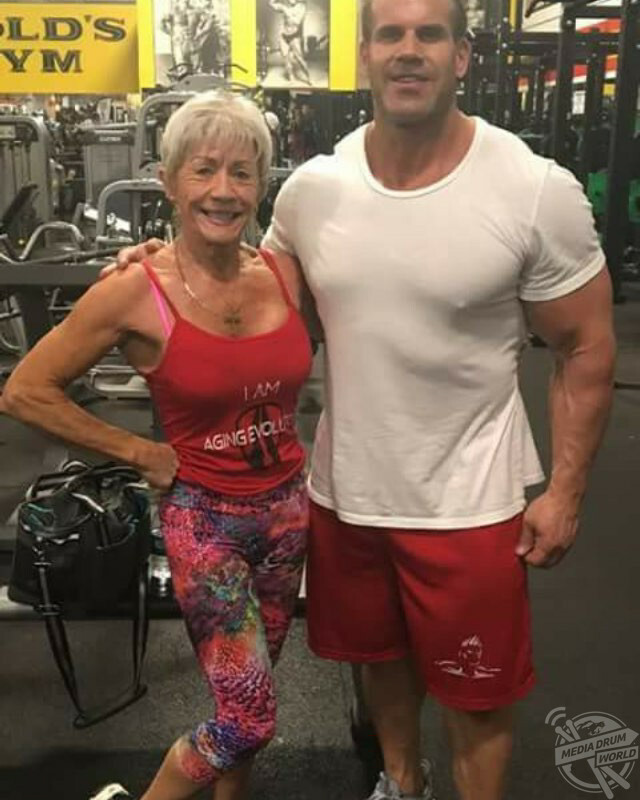 THIS SEVENTY-FIVE-YEAR-OLD bodybuilding world record holder managed to use her incredible strength to stop a thief during a police car chase and claims that her passion for bodybuilding has helped her conquer her depression. 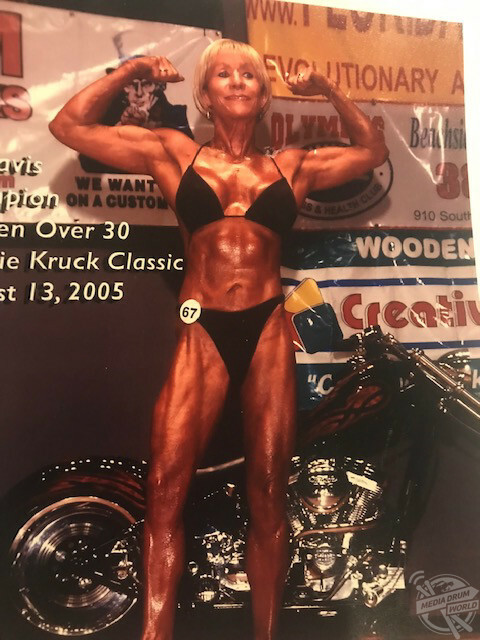 Bodybuilder, Iris Davis (75), from Dublin, Ireland, and now residing in South California, USA, came from a humble background and emigrated from Dublin to England when she was 16-years-old to have a better life. At just 17-years-old, she got married and had her first child at 18. Four years later, she became a single mother of a two-month-old baby when her husband died in a tragic accident when she was 22-years-old. She developed severe depression in the aftermath of losing her first child, husband and being a single widowed mum. She made the brave decision to move to America to look for a job, so that she could bring up her child in a better environment. As a distraction, she decided to get fit by walking and that is when she entered her first gym. During the sixties, women were forbidden from joining almost any gym across the country. With no female bodybuilders to look up to, she wanted to be the first to empower women through her bodybuilding passion. 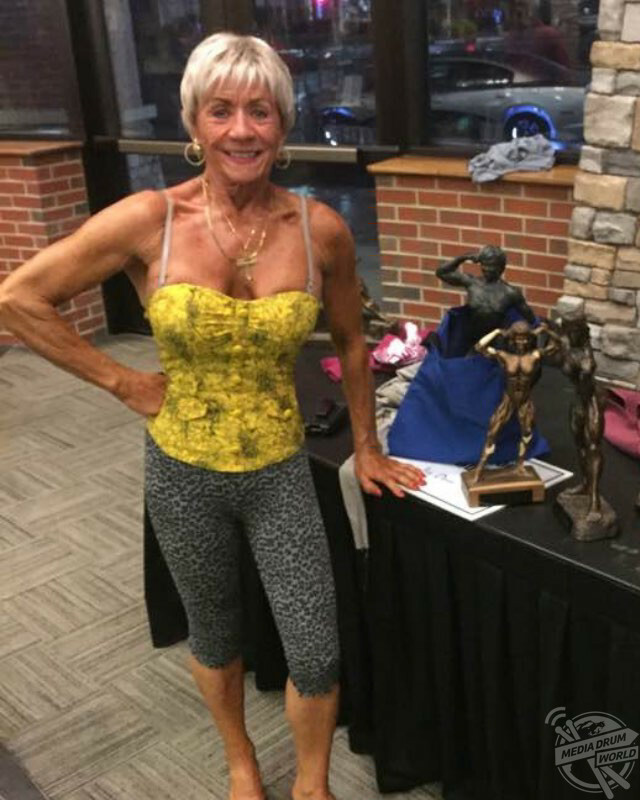 She entered her first bodybuilding show at the age of 50 and came second, which spurred her on to continue her journey. At the age of 62 she won the Florida State Championship and won it again when she was 63-years-old. While she was living and working in Florida, at the age of 65, she happened to stumble upon a police chase that went past her office, so she went outside to see what was going on. She noticed a car of thieves being followed by 10 police cars. The thieves crashed in front of Iris, and when one of them began running away, she subdued them until the police officers arrived. 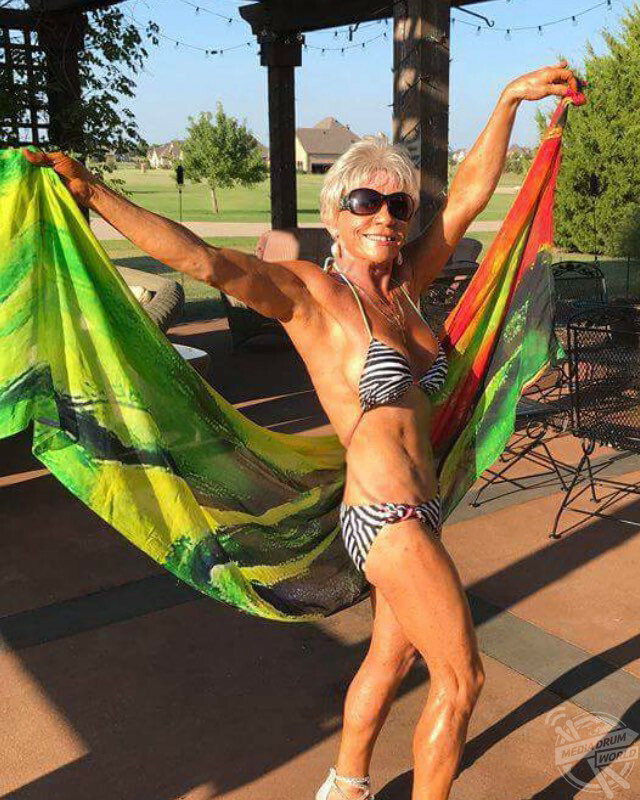 She has since maintained a weight of 7st 12Ibs and UK dress size four and on her 74th birthday, she held a world record for doing 21 pull-ups in a row. “When I was in my late teens and early twenties, I was a very pretty young lady but very miserable because my husband had died a tragic accident when I was twenty-two and the mother of a two-month-old son with no income,” Iris said. “It was then I decided to look for a job in the USA so I could bring my child up in better circumstances than I had in London. “It was then when I found the only way I could find the most relief was through exercise; mainly I just started walking. “I walked up and down the streets of London talking and crying to myself the entire time and I entered my first gym. “It was a big old sweaty gym with lots of men in there but no females whatsoever and I was lucky that they let me join because women were forbidden in almost every gym in the country at that time. “I didn’t know there was such a thing as bulking up, so I never bothered to bulk up, I just knew that my muscles were growing and my body was staying nice, slim and fit. “I like the way my body looked, and I remember making a promise to myself to try and keep it that way for as long as I could – I had no idea I was a trailblazer and would be doing this fifty-one years later. 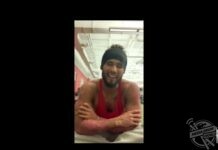 “I just continued doing what I enjoyed, and I found that when I was in the gym exercising, I was not sad or crying and I certainly never got depressed in the gym. “To me it was like my church, my sanctuary, my safe place and I wanted to be in there as often as I could. I’ve always been my own motivation, as there were never any other female bodybuilders that I could look up to, so I became my own motivation and I still am to this very day. “It’s certainly changed my life. I entered my first bodybuilding show at age fifty in London and I came in second place – it was a great thrill for me just to complete it. “Thirty years before, I wasn’t even allowed to go into the gym and here I was up on stage showing off my work and most of the people in the show were thirty years younger than me. Iris describes the day she surprised many people, including herself, when she took down robbers during a car chase. “I was living and working in Florida at the age of sixty-five and I happened to watch a police chase that was going on by my office, so I came down to the street to see what was going on,” she said. 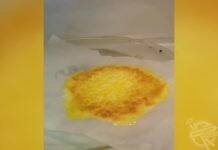 “I noticed there was a car going north in the southbound lane with about ten police cars following them. “As soon as they reached where I was standing, they crashed into an oncoming car and four of the thieves got out and ran away. “When one of them tried to pass me by, I had to make a decision within a split second whether I should let them run past me or whether I should try and hold him for the police. 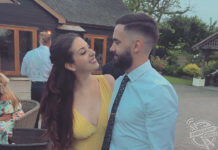 “I remember thinking I must not let him get away and I reached out and stopped him in his tracks and the police were there about five seconds later. 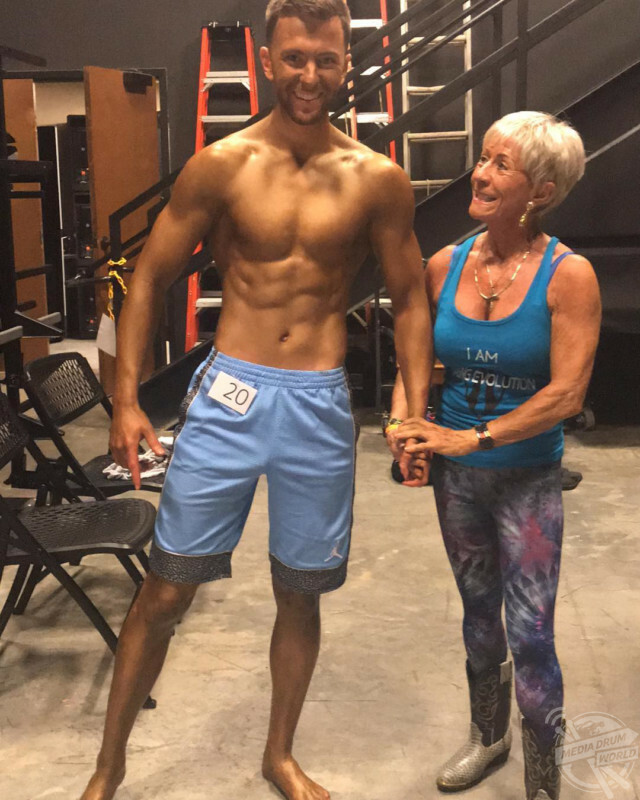 “I am in great demand at the age of seventy-five as a personal trainer and I have clients between the ages of eighteen to eighty.